Disclaimer: The iBasso SR1 was sent to us a sample in exchange for our honest opinion. We thank iBasso for this opportunity. The SR1 is iBasso’s first foray in the headphone making business and they are only releasing 500 units in total making this a very limited edition run. As of writing today I can still technically add one to the cart on their website so it may well be they have a few units left. If you are thinking of getting one after this review then I would suggest jumping on it before they are all sold. They will not be making any comebacks at a future date. Truth be told the SR1 is a complete surprise to me as iBasso has built their legacy on amps first, DAPs second and most recently IEMs. I am jokingly expecting desktop R2R DAC’s next in their never-ending audiophile journey. As a small caveat to this review, the initial writeup was completed before we received their new PT1 perforated pads. The second part with the PT1 pads is now completed and you will find more info on page 1 for physical attributes and page 2 for the changes in sound. 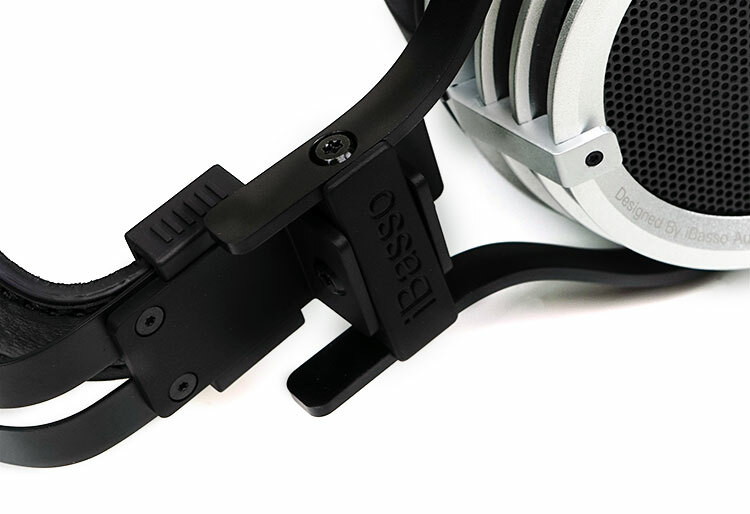 So true to form, iBasso have not just released a “vanilla” headphone but instead a full-sized headphone with some interesting technological features. It is never an iBasso product unless there is more than a hint of ‘nerd exotic’ in their designs. First and foremost, the SR1 is a full-sized semi-open 50mm dynamic driver headphone by design. Part of the reasoning behind the new PT1 pads being launched is because of this semi-open design. Some customers wanted a more open sound and the PT1 pads are supposed to meet that requirement. The second (or first key feature depending on how you look at the first one), is the use of silicone suspension dynamic drivers. Now, this is not something that just sits in the baffle and works independently of everything else. However, the elastic or more supple characteristic of the silicone is supposed to dramatically improve the impulse response on the SR1 driver. 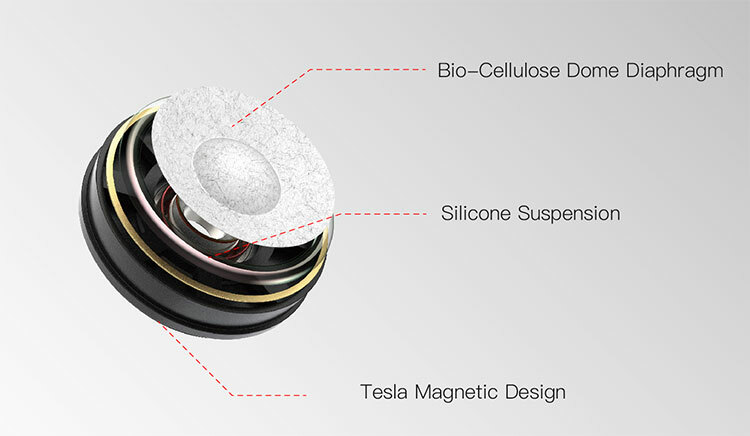 Combined with the silicone suspension drivers iBasso is also using Tesla magnetic flux technology first seen on their IT01 and IT04 IEMs but on a much bigger scale to match these new 50mm dynamic drivers in the SR1. This is a very powerful magnetic drive which they feel will produce better detail on the SR1 and with a lower degree of total harmonic distortion even at loud volumes. 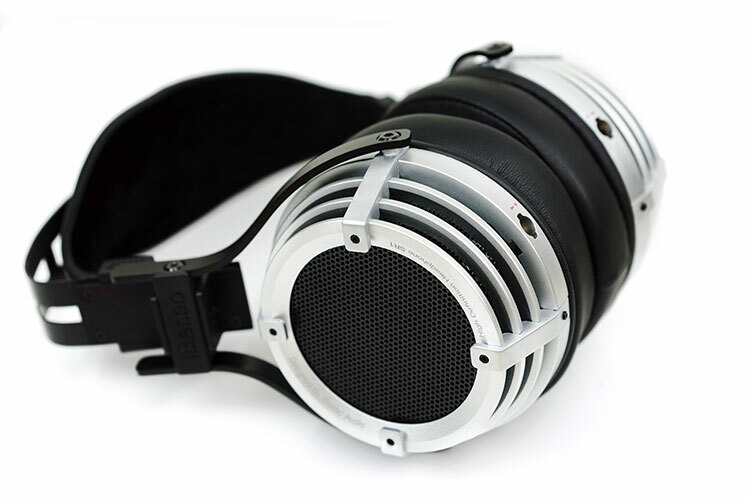 Now, this final tech characteristic of the SR1 is not so new in the world of headphone making. Quite a few headphone use bio-cellulose diaphragms such as Audioquest’s Nighthawk, Denon D7000, Fostex’s current TH-600/TH-900 and the ZMF Aikon to name but a few. These are very strong but also very fast and responsive type diaphragms with a very wide frequency range potential if done right. Putting all three design elements together you can see that the main requirements iBasso wanted from the SR1. Low levels of distortion (harder to achieve on dynamic drivers compared to planar) and a very fast response rate for dynamic range and resolution over a very wide frequency range. Everyone will have their own take on the design of the SR1 but for me, the SR1 evokes images of vintage science fiction. Movies such as Metropolis (1927) and the Maschinenmensch (“Machine-Man”) aesthetic that champions the elaborate and striking over subtlety and conformity. I wouldn’t necessarily call the SR1 over-engineered but at 420g with those deep CNC aluminum alloy cup rings and black metal grill guards, combined with semi-articulating spring steel headband materials it is not minimalistic. What it is, is memorable. The driver and baffle are held in place by a set of CNC aluminum rings and a single shaped metal black grill. Each set of rings are tightened and held in place by aluminum hinge strips, torque screws and finally a pivoted set of gimbals made out of similar materials. The arching headband is a black matte finished spring metal with a Minerva Tuscan leather strap pressure balancing system just underneath. 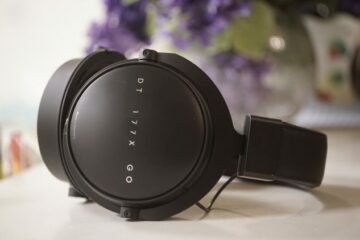 The pivot blocks at the base of the strap and the base silver ring on the cups are hard plastics but look very durable and fit in really well with the look of the rest of the headphone. 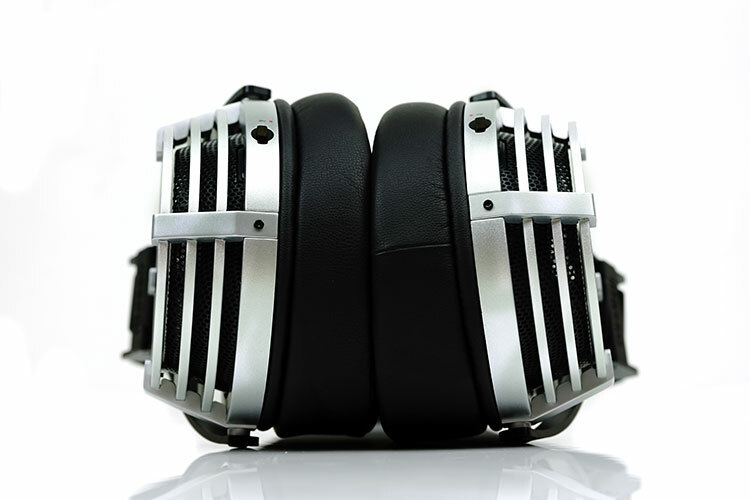 Overall, it is a solid and very durable looking headphone. 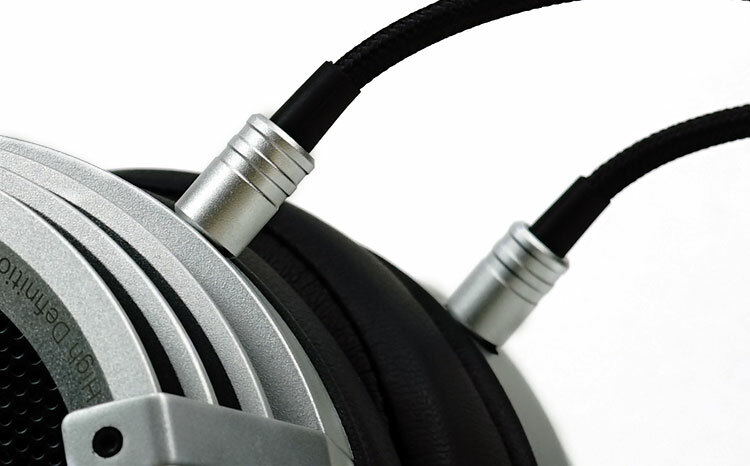 For a 420g headphone, the SR1 balanced beautifully. Not quite on Empyrean levels and you will know you have a fairly weighty headphone on your head. However, the headband does a stellar job of dissipating the downward pressure combined with just enough lateral pressure that is offset by the comfort of some very soft and deep angled pleather pads. Sometimes I get headbands that are simply too long at the shortest setting and this minimizes the contact point on the top of the scalp and in turn, ups the ante on the downward pressure. Not so with the SR1. The pads inner openings also easily clear the ear so even though the lateral pressure is above average you will not feel that on your ear. That pads we have are the original stock pleather or artificial leather pads and are non-perforated. They are also angular with a deeper rear wall compared to the front which does help retain a level of seal. I find them quite comfortable overall and they do a nice job of softening the lateral pressure on the side of the head. You should not have any issues either with them pressing on your ear as they are wide enough to sit around and not on. Pitched as being semi-open the SR1 does have a mild level of a seal with these pads but they can also get a touch hot on longer listening sessions. The PT1 pads are the same size as stock and most likely use the same type of memory foam. When poked and pushed they respond in the same manner. The outer artificial leather coating is no perforated on all sides and it is this perforation that will tweak the resulting presentation, opening up the mids a bit more and flattening the bass to mids transition very nicely. Changing the pads is fairly simple. Just pull up and out at the top of the pads with your thumb at the base above the baffle. It should just peel off. Then slip in the new pad and either roll around sliding in the lip to complete it or do what I do which is just overextend and push in. Takes a minute or two per side but dead easy to accomplish. Just a small note, the perforation also allows for a little more leakage and background noise to creep in compared to the non-perforated stock pads. At the base of the SR1 are two recessed MMCX sockets for left and right dual entry. I would have said this is an unusual choice of locking system given the shelf life of MMCX can be slightly short as well as the slightly fiddly nature of attaching and detaching them when used on IEMs. However, having experienced a 2-pin 0.78mm system on the Ultrasone Edition 11 and having a number of MMCX and 2-pin aftermarket cables for monitors that use of MMCX fascinate me from a cable rolling perspective. So long as your aftermarket cable is not ‘formed’ at the connector point for going over the ear and the barrel is thin enough to slide into the socket then most other MMCX cables are fair game. One thing to note, however, is that the MMCX system used on the SR1 does have a locking system (snap in and twist) that other cables may not have so the connection may not be as strong. The supplied stock cable is a 1.8mm nylon cloth jacketed OFC wire terminated with a 3.5mm gold-plated TRS jack and MMCX red (right) and black (left) MMCX connectors on the other end. The 3.5mm end has a cleverly designed 6.35mm adaptor that screws onto the 3.5mm making it look like one continuous silver-finished barrel. Matching silver barrels are also used for the Y-split and MMCX connections with a subtle but strong rubber strain relief for the MMCX and 3.5mm jack ends. Connecting cable to SR1 is a simple case of inserting firmly until you hear a small click which means they are locked in place. To take them off pinch the base with finger and thumb and pull off by squeezing and pushing back from the socket in a straight line. Cable handling is fair to good. On a physical level, it will not tangle or retain any kinks and it also does not look like it has a pretty solid build quality. However, beyond the Y-split barrel there is some microphonic or physical noise when touching it rubbing against a collar or object so just be careful of that. below the Y-Split it is pretty quiet. 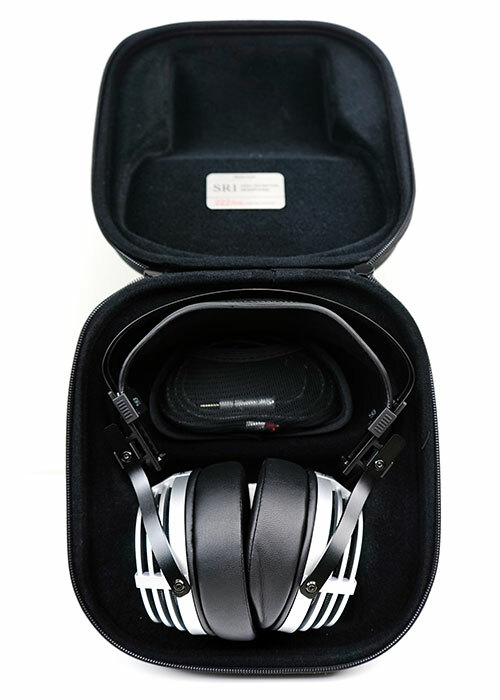 The SR1 comes in a fairly professional looking medium sized headphone retail box with plenty of pictures of the SR1 as well as the key features. 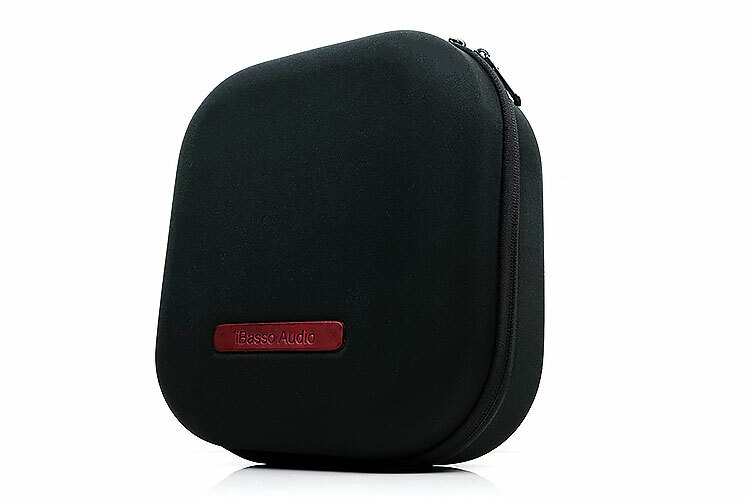 Inside the retail box, everything is contained inside a fairly durable and nicely finished black carry case. 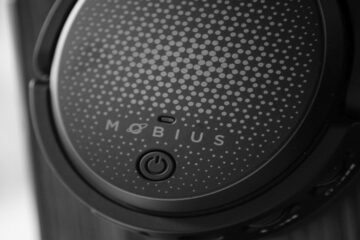 On the underside of the top lid of the carry case, you will see the name of the headphone and your serial number on a little metal plate. Because it is a limited run of just 500 units the serial number will be printed relative to that so in this case, it is 2XX/500. There is plenty of room for both headphones and the cable. The cable is held fairly tightly in a little mesh pocket on the base of the carry-case. It is kind of on the small side so you won’t fit much else beyond the cable in there but it will prevent it from accidentally knocking the headphones when carrying them about. What I really do not understand at all is writing headphone reviews without publishing FQ graphs. Some mesurements would be informative a lot and some personal impressions could be set in relation. Harald, I make frequent mention of our response curve (rise and fall, etc) in the review. Ibasso has also made a curve freely available on their website. We do not publish graphs. Graphs are as subjective as the written word, for example, positioning, background ambient noise, calibration charts all will you give you some version based on your own skillsets and the quality of measuring equipment you have. They can be very misleading. Thank you Marcus for your kind response , all this facts you wrote sound logical to me. Have you been able to try them out with the PT1 pads yet? Any thoughts? Which is worth buying, Sennheiser HD 700 by 450$ or Ibasso SR1 by 560$ and why? The Sennheiser HD 700 has more soundstage, clarity and detail than Ibasso SR1? Yes i see it, the problem is that i don’t speak english and i use google translator and and it translates poorly, if u can answer me the question in a shorts words, will be fine. Hi so for me the SR1 is a better performer than the HD700 with or without the PT1 pads but especially with the PT1 pads. It has a better low-end extension and smoother high-end. 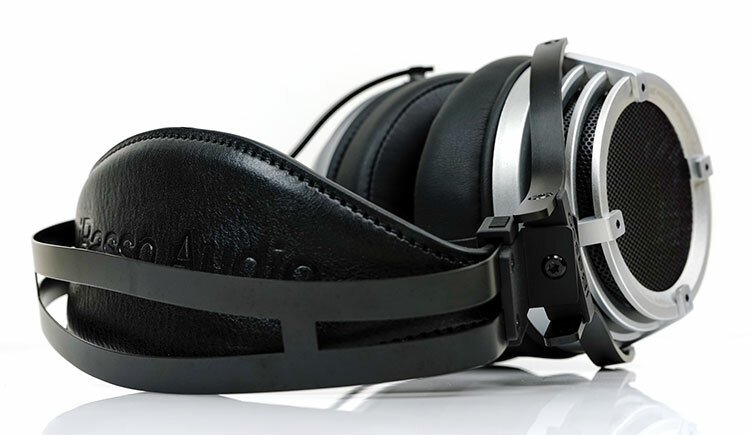 The HD700 harmonic balance is a bit bright in part and warm on the lower mids. Its low-end is not as heavy as the SR1. Semi-open? How much sound leakage? Can you listen to it without disturbing other people in the same room? Not so much, to be honest. You should be fine. The big silver ring of the housing close to the pads to me seems also beeing plastic. Not a downfall, but you wrote its all out of anodized aluminium.. thats to total true. Yes, it might be though I did allude in my review that not all was aluminum. Will do a small update to make it easier to understand. I’ve read in two separate reviews that those hinge strips keeping the rings in place, are made of plastic. Could you confirm whether this is true? If they are indeed plastic I would be far from feeling that longevity is as iron-clad as you maintain. Yes, they are plastic but they are very strong. I had to really check hard to make sure they were not coated aluminum as they are that sturdy and thick looking.